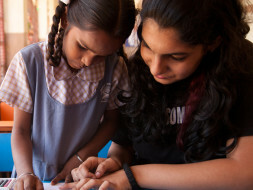 We are currently supporting around 200 mentor-mentee pairs across Mumbai, including street-living and orphaned children. With your support, we hope to double our reach and impact by the end of this year. Your contribution we go towards enabling these mentor-mentee pairs, support their training and operational costs and empower them to reach their full potential. All the best Bro! Remember its not how fast you run that's important, but that you enjoy it. Don't over-stretch!